Today and later this week Mr Green Casino is running a Loco Roulette Fiesta and giving away a huge number of free spins. 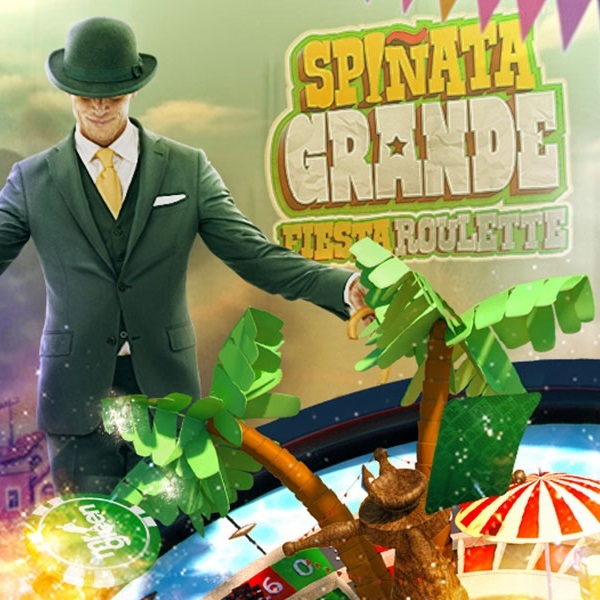 All you have to do is play 20 rounds on Fiesta Roulette to unlock 50 Spinata Grande free spins each day of the promotion. That means that you can unlock 50 today and then a further 50 next Saturday and Sunday for a total of 150 free spins. The Fiesta Roulette table is available every day in the Live Casino from 14:00 to 02:00 CEST. This is a great chance to enjoy a fun roulette game and guarantee yourself some free spins on a fantastic slot. Head over to Mr Green Casino today and start playing to get your first 50 free spins and with a bit of luck youâ€™ll soon be reaping the rewards.